We supply 6 cubic yard to 12 cubic yard heavy duty bins to remove concrete, asphalt, dirt, sod, rocks, brick and environmental contaminated fill. These bins are primarily used for construction or landscape sites where its difficult to load dump trucks with a machine, or where loading by wheel barrow is the only way to remove fill. If you require removal of contaminated soil, Perimeter Mini Bins is experienced in transportation of contaminated soil to various environmental treatment facilities. 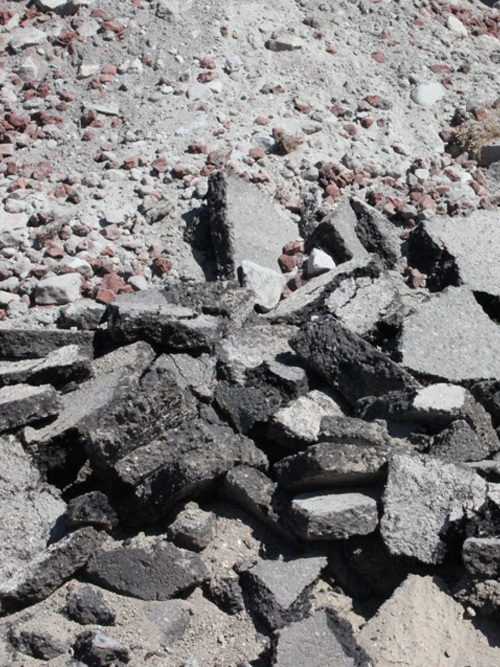 We recycle clean concrete (without steel mesh or rebar) and asphalt at various recycling facilities across Metro Vancouver. Removal of any amount of fill from any residential or commercial property in Metro Vancouver requires a soil characterization test. This means that fill removed from your construction site is tested for any contaminations that would cause future hazards to the site the material is being transported to. If your site is found to be “clean”, sites across Metro Vancouver will accept the fill. If your site has contaminated soil, you fill will need to be disposed of properly. Perimeter Mini Bins Ltd will get your soil tested for proper transportation. If you require a soil characterization for your site, contact us and we will direct you to on of our preferred Environmental Consultants and they will assist you.